Our Boston fall injury lawyers know premises liability law in Massachusetts is distinct from many other states. In Demag v. Better Power Equipment, an appeal heard by the Vermont Supreme Court, the plaintiff worked at a car dealership. One of the services offered by the dealership was that they would pick up the customer’s car and return with the car after service was completed. The plaintiff was a driver who would drive his own car to the location where the customers’ cars were, leave his car, and return to the dealership with the customers’ cars. The plaintiff was responsible for picking up the cars owned by the defendant and his wife several times a year. On one of these occasions, the plaintiff went to the defendant’s place of business and parked his car in a lot next to the defendant’s cars. He spoke with an employee of the defendant about what service was required on the cars, and then went to get a few personal items from his own vehicle. At this point, he fell into an uncovered storm drain and suffered injury. He sued the defendant under a theory of negligence. According to the record, the defendant’s lease stated that they were responsible for maintaining all structures and surface areas on the premises where the accident occurred. There is no dispute over the fact that the defendant and its employees were not aware of the open storm drain at the time of injury and the opening was not obvious to anyone walking in the area. The manager testified that in all the years he had been working for the defendant, the storm drain cover was always present, though he was aware that the drain cover would rock a bit when a vehicle drove over it. He speculated that a snowplow blade must have knocked the drain cover out of place. 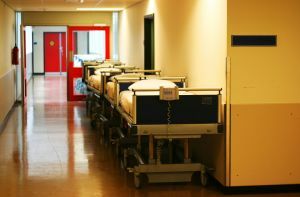 The issue before the court, as is the issue in any negligence case, is whether the defendant was liable for the injuries suffered by the plaintiff. In a premises liability case, in many states, the issue may depend weather the plaintiff was on the land as an invitee, licensee, or trespasser. These classifications can be further broken down into sub-classifications such as general or business invitee and so on. In the Commonwealth of Massachusetts, the Supreme Judicial Court (SJC) did away with the distinction between licensees and invitees many years ago. In Massachusetts, a landowner has a general duty to act in a reasonable manner so as to protect foreseeable persons from foreseeable harm. In the context of the case we are discussing, if the company or its employees knew or should of known the storm drain cover was not in place, and also reasonably knew that someone could get hurt as a result of this condition, a jury could find the company liable for any injuries that result. This duty may include a duty to inspect the premises for safety. If, on the other hand, the company or its employees had no reasonable way to know of this dangerous condition, or that anyone would be harmed by it, a jury may find that the company is not liable.